The purpose of this guide is to help you find research materials on American Studies topics, both online and in the library. You may use the tabs above or the links below to navigate within this research guide. Mrs. Benjamin F. Russell (American). 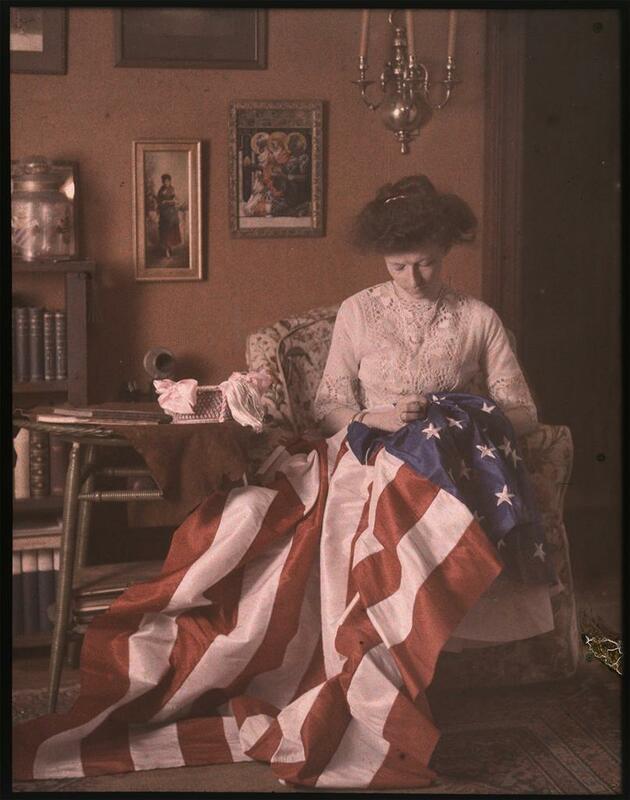 Woman making American Flag. 1910. George Eastman House. ARTstor image.